Insomnia is the inability either to fall asleep or to remain asleep during the night. Many people struggle with insomnia and sleep deprivation. If you are suffering from chronic or intermittent sleep disorders each year you might develop different conditions. Inability to concentrate, fatigue and poor immune functions. But you don’t have to accept sleep deprivation and pharmaceutical sleeping aids. Before you take a tranquilizer consider trying natural remedies .Use techniques that treat the underlying causes of your disorder. Find more about these techniques at the insomnia tips page to enjoy a good night’s sleep. Sleep takes up about a third of our lives. It is part of our natural daily rhythm. Gives us essential rest. Without sleep we feel tired and irritable and don’t function well. The two main functions of asleep are rest and growth. The word insomnia is derived from the Latin word “in” which means not and “somnus” which means sleep. Meaning, it is the inability to sleep during normal hours despite the absence of bright lights or noise. It affects people of all ages specifically drug users, elderly, menopausal women, pregnant women, travelers and young adults. In addition, it affects people with mental health disorders and people on shifting work schedules. According to statistics, more than 55 percent of adults face this problem. Around 93 percent of them said that it affects their daily lives especially their work performance. Moreover, research showed that women are more prone to experience this. In fact, 40 percent of women have this compared to 30 percent of men. It is said that they normally get 6 hours or less sleep every day. In addition, around 60 million people in the West suffer from this disorder. In fact, the United States of America has the most number of cases followed by Germany and the United Kingdom. It is evident that millions are affected by this. To better treat this condition, it is essential to understand and know more about this disorder. Insomnia has different types. It may be primary and secondary, acute / transient, intermittent or chronic. Below are information to better understand each. Primary / secondary – Primary means that sleeping disorder is due to anxiety, sleep hygiene and stress while secondary means it is due to medical conditions such as depression or sleep apnea. Acute / Transient – This only lasts for a short period. An acute condition lasts for one night to several weeks. Meanwhile, transient, which is often called adjustment sleep disorder, is only triggered by stress due to change in time zone or shifting schedules. Intermittent – This condition is described as occasional or recurring episodes caused by shifts in time zone. This condition is the opposite of intermittent. It is described as a long-term sleep disturbance that happens for several nights that can last more than a month. It is often caused by asthma, arthritis, depression or sleep apnea. According to studies, each person’s experience is different. At night, some experience difficulty in falling asleep. They lie in bed for more than an hour until sleep comes. However, some may be able to sleep but frequently wake up in the middle of the night. When this happens, they have difficulty going back to sleep. When morning comes, some wake up too early feeling tired as if they weren’t able to sleep at all. Most often, they feel anxious, grouchy or sleepy. They are unable to focus and do things at daytime. Moreover, people may be wondering what the causes of this condition are. Below are a variety of causes. Alcohol and medicines: Alcohol, allergy medicines, antidepressants, antihistamines, amphetamines, caffeine, cocaine, decongestants, ephedrine, fluoroquinolone antibiotic drugs, heart and blood pressure medications, methamphetamine, nicotine, stimulants, weight loss medicines. Circadian rhythm disruptions: This includes cold weather, high altitude, hot weather and shifting schedules. Hormones: Hormone shifts happen during menstruation. Medical conditions: This includes acid-reflux disease chronic fatigue syndrome, arthritis, asthma, brain lesions and tumors, chronic pain, congestive heart, hyperthyroidism, chronic obstructive pulmonary disease, Parkinson’s and Alzheimer’s diseases and stroke. Psychological factors: These are anxiety, depression, mania, schizophrenia and stress. Others: genetic conditions, overactive mind, noisiness, pregnancy and sleeping next to someone who snores. Stated above are the types, symptoms and causes. When one has determined what the causes are, it is now time to know the suitable treatments. Below are medicines, herbal solutions and techniques to sleep well. Avoid alcohol – Most people drink alcohol to help them relax and sleep early. However, being dependent on the substance has its negative effects. It will make one feel tired the following day. 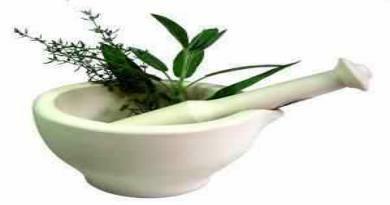 Drink herbal medications – First helpful herb is Valerian (Valeriana officinalis). This has been long used and is available over-the-counter especially in countries like Belgium, France, Germany, Italy and Switzerland. Another is passion flower which is effective in calming the senses and induce sleep. Improve sleep hygiene – Avoid daytime naps to induce sleep at night. Moreover, avoid heavy meals and stimulating activities like exercising before bedtime. If one is hungry, only eat a light snack. It one needs to exercise, do it during the day. In addition, yoga is a good exercise that calms the nerves and improves sleep. Take medicines – Antihistamines are commonly used for allergies and colds. Drinking it results to sleepiness; however it can be effective for short-term use. Another medicine is Benzodiazepines which is similar to Valium. This will help improve the amount of sleep and number of awakenings during sleep. These are a few of the many medications one can do. However, it is said that symptoms may worsen especially when people take the wrong medicine causing drug overdose. That is why; it is always better to consult a doctor to know which ones are suitable to one’s body and effectively overcome the sleeping disorder. When we are asleep our brain and body are resting. According to Professor Jim Horne, sleep is needed mainly to rest the brain. Many important hormones are released when we are asleep. These hormones have to do with growth and recuperation. The cells of our bodies grow and are repaired during night. Although most of us know what is insomnia and how we feel. Many people remain unaware of the behavioral and options available to treat it. Among those options are Behavior-Modification Process . It is a sleep-conditioning program that helps you drift off fast , sleep the night through and wake up refreshed . This process can help you to change behaviors just the way nature intended-without the grogginess or long-term risks of sleeping pills. Learn new behaviors to promote sleep. 2.F.A. Davis Company. Taber’s Cyclopedia medical Dictionary. 19th Edition. 1. Davis, Dilys. 1999, what is Insomnia ; Your questions answered, Biddles Ltd, Guildford & King’s Lynn.